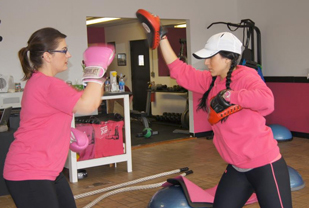 Personal Fitness Training | Tanya Gets You Fit, Inc.
Tanya Ryan and the entire TGYF Fitness Team can provide you with training in weight loss, muscle strength, endurance, sport specific and flexibility training to get you fit and keep you fit. There are several group training packages available based on your fitness needs. So are you ready to get fit? Grab everyone in your office, how about your teammates, even your bridal party. How much fun would it be to workout with Tanya and a group of people who want to get fit! Here is your chance. 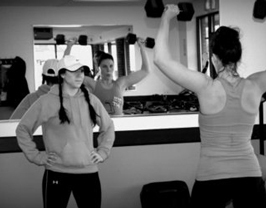 Now offering Group Training, Tanya will take you through workouts you can achieve together. She will help instruct you in the right nutritional guidelines. Maybe your all working toward one event, or just have the same ideas about getting fit. Available in Hour Sessions Only.